William McArton studied at Mount Allison University and graduated with an Honours Degree in Church Music from Wilfrid Laurier University. He completed teacher training at University of Western Ontario and holds a Master’s degree in Special Education from University of Southern Queensland. He holds the Associate and Choir Master diplomas from the Royal Canadian College of Organists, and several Canadian and British diplomas in organ paedagogy and performance. 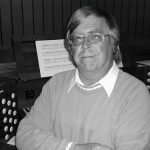 He has held organist-choirmaster positions at Anglican churches in Kingston, Elora, Waterloo, London, Gravenhurst and Parry Sound and is currently organist to St. James’ United Church in Parry Sound. He established the Parry Sound Choral Collective in 2005, plays piano and pedal bass in Jazz Aspect, and plays clarinet in the Georgian Bay Winds. 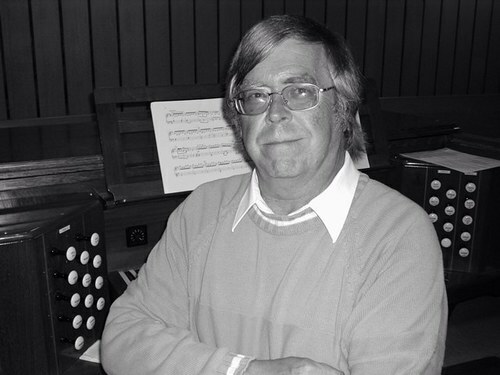 He has just retired in June from teaching and is looking forward to enjoying various musical pursuits.